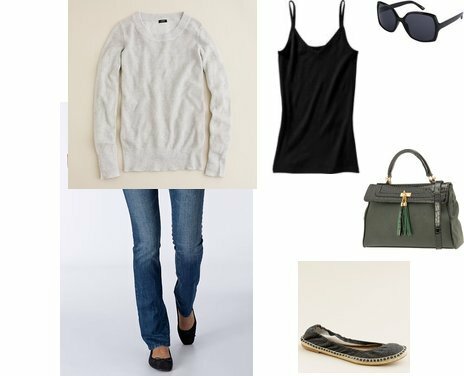 If you love Rachel's look, I put together a similar outfit using items from J Crew (on sale), Delias, and Aldo. Click on any of the images below to purchase or for more information. I am in love with those shoes! sooo cute!!! Love this. Simple and casual yet still cute!